The Mineral Springs Hotel is located at 301 E. Broadway in Alton and has a reputation as one of the most haunted locations in the area. 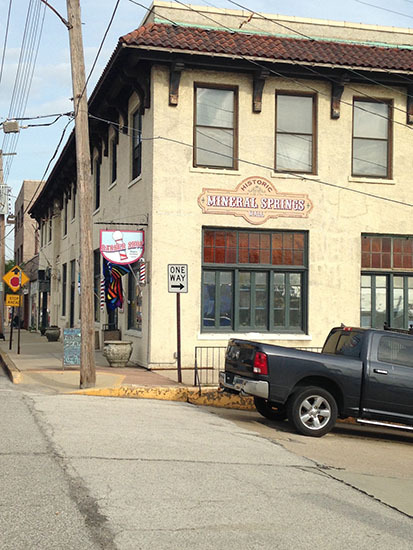 In the historic and haunted town of Alton, Illinois, you will find the Mineral Springs Hotel. At first glance the building may be easy to miss but once you get inside you won't soon forget it. If you were to travel back to 1909 Alton you would find August and Herman Luer who planned on opening an ice storage plant. However, while building they discovered a natural spring. A chemist was consulted to test the water. He determined the spring had healing properties. When you have a magical healing spring at your fingertips there is only one thing to do; open up a spa. In 1913 construction began on the spa hotel which opened in 1914. Upon completion, the hotel contained five floors and featured luxurious decor and accommodations. The marble staircase, artistic glass, and custom floors were just a few of the amenities offered. Of course, the most remarkable features were the swimming pools. In fact, it was said the hotel once hosted the largest swimming pool in Illinois. Word began to spread about the healing mineral water and it didn't take long before the water was being bottled and shipped across the country, selling over 100 bottles per day with the consumption of the spring water reaching 350 gallons a week. The hotel continued to flourish but began to decline in the 1950s. By 1971 the hotel closed its doors and has faced several renovations since, at times featuring an antique mall, apartments, and even a torture museum. One thing that has stayed the same is the hotel's reputation for being a hot spot for the paranormal. Like many haunted locations, the Mineral Springs has spawned stories that may be more rumor than fact. In other words, sometimes the "history" comes after the haunting rather than before. Either way, there are specific areas in the hotel that have been known to host the unexplained. 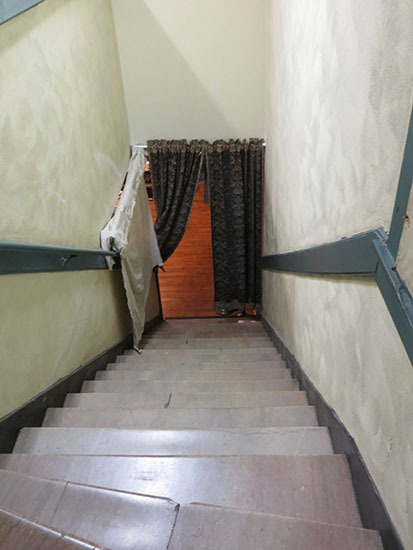 During a paranormal investigation of the hotel, one of the staircases was noted as a point of interest for those looking for spirits. 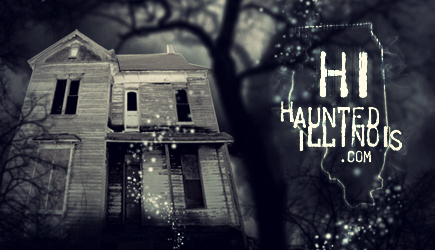 The story behind the haunting starts with a young couple who visited the hotel back in its hay-day. It is said a young woman brought another young man into her hotel room while her husband was away. The husband returned to his room and found his wife in a compromising situation. An argument began and then continued to escalate as the couple moved near the staircase. Either by accident or by force, the young woman fell down the stairs and died. She is now known as the "Jasmine Lady." Over the years people have smelled a jasmine perfume near the staircase, supposedly the same type of perfume the young woman was wearing when she died. The Jasmine Lady is said to haunt this staircase. The smell of her perfume has been reported in this area with several people believing they have encountered her spirit. The "Jasmine Lady" isn't the only spirit to inhabit the hotel. Our group was led down to the lower level of the building where the bottling of the mineral water was conducted. In this location people have reported seeing what they call a "tall slender man" appearing out of nowhere. The lower levels also host two swimming pools. The main swimming pool has numerous ghost stories attached to it. There are many unverified drownings that have been reported to occur in the pool. Stories of a young girl drowning have persisted over the years as well as the story of a man arguing with his wife near the pool and falling in, ultimately drowning. The truth to these tales are uncertain, however one drowning was recorded regarding a young man which occurred during the earlier years of the hotel. Despite the disputed history behind the hauntings it is certain unexplained activity surrounds the pool. 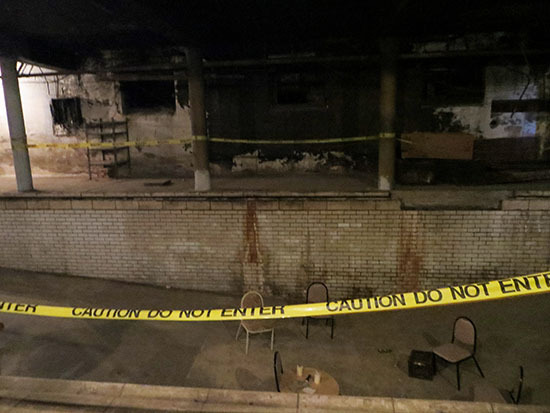 The main pool at the Mineral Springs has been a landmark for local investigators. Some of the haunted history is disputed but many feel there is at least one spirit still lurking in the shadows. Several years ago during a tour of the building wet bare footprints were found in the pool area despite there being no water in the pool and the building being empty prior to the tour's arrival. The pool room doors have also been known to move on their own and guests who visit the area have reported feeling an unseen presence. Before I made my trip to the Mineral Springs I was speaking to a friend who already experienced the haunted pool. She explained that she took a tour of the Mineral Springs with some family members and while they were in the pool her brother-in-law swore he felt someone, or something, breathing on his neck only to find nobody was near him. He was just one of the many people who have experienced the paranormal pool. I spent some time in the pool hoping to experience something otherworldly but wasn't so lucky. There were others that reported unclaimed sounds such as "bangs" that occurred in the pool area as well as experiencing strange areas of what can only be described as "light" in what would otherwise be complete darkness. Even without my own paranormal experience in the pool I can say attest it's an eerie location. Upstairs you will find another haunted location known as Pearl's room. During the initial walk thru of the building we noticed a Mt. Dew can sitting on one of the wooden frames of the room. Not wanting to touch an old nasty soda can we left it where it was and proceeded to hear the story of a young woman named Pearl who was thought to have committed suicide in the room. At one point during the investigation I made my way upstairs with two other investigators. I was carrying a Mel-Meter, used to detect EMF and temperature, while the others had a set of dowsing rods and an EMF meter. The other two investigators made their way into Pearl's room with me following behind. As I began to enter the threshold of the room I noticed my EMF go from .02 to 2.3 within a split second. Before I could complete my sentence of explaining the spike in EMF, the soda can that was perched on the wood frame flew several feet to the ground. It was interesting that this occurrence happened in the same instance as the increase in EMF. Call it bravery or insanity but we decided not to run and rather take a seat to see if any other activity would occur. Prior to entering Pearl's Room, we heard what seemed to be footsteps coming from the area surrounding that room. We heard the footsteps again after the soda can incident, but overall the activity had gone dead, no pun intended. We examined the location of the soda can. It didn't appear to slide off the frame and overall the frame was incredibly sturdy. None of us were close enough to the can to accidently hit it and if it was moved due to any vibrations or movement that still wouldn't explain how we saw the can fly through the air. There seemed to be force behind whatever or whoever moved that can. Assault by a Mt. Dew can was something I never thought possible but when you deal with the paranormal anything can happen. Unlike the upstairs, there are other portions of the hotel that aren't under construction. The banquet/ball room area was surprisingly active that night. Using dowsing rods and the Ghost Radar App (which I admit I take with a grain of salt) we sat down near the restrooms in that area and began to ask questions. We received an "energy blip" on the Ghost Radar App that signaled nearby fluctuations in the energy field. I wouldn't normally give much validity to the app but at the same time we began to receive responses to our questions through the dowsing rods. Through "yes" and "no" responses on the rods we were able to determine we had made contact with a male, age 33, who was from Alton, and died of a natural illness. After receiving multiple responses another "energy blip" appeared on the Ghost Radar App and as soon as it appeared we stopped receiving responses on the dowsing rods and the Ghost Radar App went clear of any energy sources. Shortly after, an energy reappeared on the Ghost Radar App but then again, another energy source was detected and both disappeared. It appears there was one energy source, or spirit, was willing to chat but when another energy/spirit appeared the communication stopped. Later that night another investigator also reported encountering the spirit of a young man in his 30s in the same location. I always carry doubt in my paranormal experiences but it's hard to explain away the paranormal when another person receives very similar results. With as much certainty as possible, I believe there is something otherworldly in that area of the hotel. Massively Mysterious is the phrase I think of when I remember my time at the Mineral Springs. It's easy to look back on the claims of healing mineral water as ridiculous but then I think of all the people who buy "As Seen On TV" products and it doesn't seem so crazy anymore. The truth is, whether or not the water had any healing properties didn't really matter in the end. The Mineral Springs Hotel became a part of Illinois history and continues to bring people from all over the country to Alton. Its presence is still magical, healing water or not. If you're looking for your own adventure at the Mineral Springs be sure you are with a group that offers an authentic investigating experience. The group I investigated with, American Hauntings, will revisit the Mineral Springs Hotel during their 21st Annual Haunted America Conference this June. The investigation is available as an after-hours event for those attending the conference. More information and tickets are available at www.americanspookshows.com. More information about the Mineral Springs hotel can be found in Haunted Alton by Troy Taylor. Copies of this publication as well as other Troy Taylor books can be found at www.prairieghosts.com.